Southbank International School has three main campuses in the heart of London. These can be found in Kensington (3-11), Hampstead (3-11) and Westminster (11-19 years). Our Westminster campus includes two separate and impressive buildings near Regents Park focusing on the Middle Years and Diploma Programmes. Southbank Westminster offers the IB Middle Years Programme (MYP) and the IB Diploma Programme (DP) with students ranging in age from 11 to 19 years old. It represents 61 nationalities. The IB Middle Years and Diploma Programme age groups are equivalent to middle, senior, upper or high school in other education systems. Southbank was the first UK school to offer the International Baccalaureate curriculum to students of all ages. In the MYP (11-16 years) at Westminster, French and Design Technology are added to the core subjects begun in the Primary School. The MYP links traditional subject areas to one another through a holistic framework. The emphasis is on skills development and students are prepared for the IB Diploma Programme (16-18/19 years). Our campus on Portland Place is conveniently located in central London near Regent’s Park with good transportation nearby. Facilities include five science labs, a computer lab, a hall/theatre, art and music rooms, and two libraries served by networked computers. The door-to-door bus service covers a wide area of central and north London. Our campus on Conway Street is set in a modernised building near Warren Street tube station. Facilities include a science lab, library resource centre, art studio, social space/hall and language suite across four stories. Southbank also have two dedicated university counsellors (one specialising in North American universities and one specialising in the UK). Both counsellors are available for individual appointments and events are organised to inform parents about university planning. There are no in-house catering facilities at Westminster. Students can bring their own packed lunch and morning snack or may opt to go to one of the many eateries in the immediate vicinity and within the designated area boundary. Students must have off-campus permission from their parents via the online Student Information Form (SIF). English is the language of instruction, but students may also study their native language: currently 17 languages are offered as first or second languages. English as an Additional Language (EAL) is also offered throughout the school. Southbank attracts well-qualified and internationally experienced teachers. Admission is based on previous school records and satisfactory references, as well as suitability of the candidate for the curriculum offered. All students progress to universities in the UK, and around the world. Southbank is a school that allows the student to develop at their own pace. And there’s a lot of support to ensure that the student does reach his or her full potential. It’s not a hothouse school, yet the children do really well, and that’s a good reflection on the school. For parents who are looking for a school where their child is going to be happy, and challenged, and have this incredibly broad education that the IB gives, Southbank is a really good choice. "The principal, supported by governors and senior staff, has secured excellent teaching, learning and assessment that enables pupils to achieve extremely well. Pupils make rapid progress and reach standards that are above world averages for the International Baccalaureate (IB). Teaching is outstanding. Teachers have high expectations and excellent subject knowledge. They enable pupils of all abilities to make rapid progress. Pupils’ spiritual, moral, social and cultural development is a strength of the school. Pupils’ attitudes to learning are extremely positive. They are polite, mature and respectful in their behaviour." Southbank International School wants you to be able to make an informed decision about your child’s education. 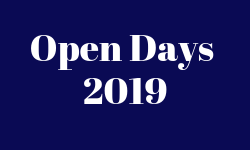 Information Mornings were developed to give you the best sense of what we have to offer; see our school first-hand, meet our students, and ask questions about our admission process. New dates coming soon. Click here for latest information. It was an exciting start of the academic year with the formal opening of our new Cleveland Street campus for our Westminster students last week. 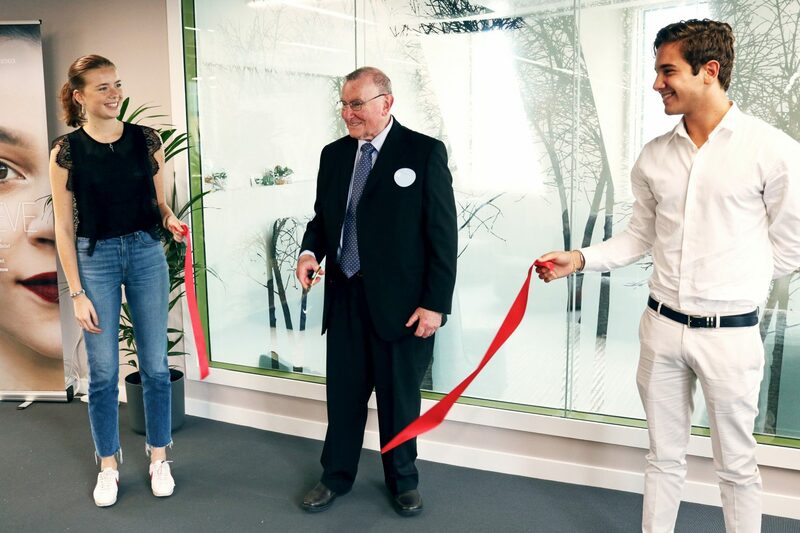 Founding Principal Milton Toubkin was invited to officially open the site, and he shared his memories of the start of the school 39 years ago and took guests on a historical walk through Southbank’s evolution. It was a wonderful opportunity to celebrate the school’s beginnings and marvel at the strength of vision and ethos which, whilst adapting as the school has grown, still underpins Southbank today. We are already looking forward to our 40th birthday next year. What a way to celebrate our 39th year with such an impressive new building, designed with the creative input from our Southbank community of staff and students. IB diploma students eloquently led visitor tours of the building and their pride in the design was evident. It’s been a great start to the year! Southbank International offers two outsstanding settings for children aged 3-11 years in Westminster and Hampstead. Students are encouraged to become: inquirers, thinkers, communicators, risk-takers, and to be knowledgeable, principled, caring, open-minded, balanced and reflective. They develop these attributes within the classroom, during Town Meetings (assemblies), in the playground, and while participating in Southbank’s many extracurricular activities. Siobhan McGrath has taught for 23 years in New Zealand and London. She has taught every age from 5 to 18, and has been Executive Principle at Southbank and Principal of Kensington since September 2013. Her predominant school interests are in assessment, teacher training and CPD. I used to teach my teddy bears and dolls. I arranged them into an imaginary classroom and taught them how to read and write using a small blackboard and chalk. Always making sure that there is an excellent balance between focusing on teaching academic subjects and ensuring students are involved in the arts, sport, music, drama and other extra-curricular activities they enjoy. Students are happy and learning. That leavers are independent and able to follow their own interests and passions. Multinational, supportive, creative, open and responsible. Looking for a tutor near Southbank International School Westminster?